The perk about this pump is its easy placement wherever you want it, but you'll have to use both hands to move both halves at once. There is no need to drill the tank for these pumps because they work on the front, sides, back or even possibly from underneath the tank (in a barebottom system). Adjust the flow from 500gph to 3000gph to match your system's needs. I've been running VorTech pumps on my reef tank for almost two years, and love how they take up very little space visually and physically, plus they use low voltage to create tons of flow. 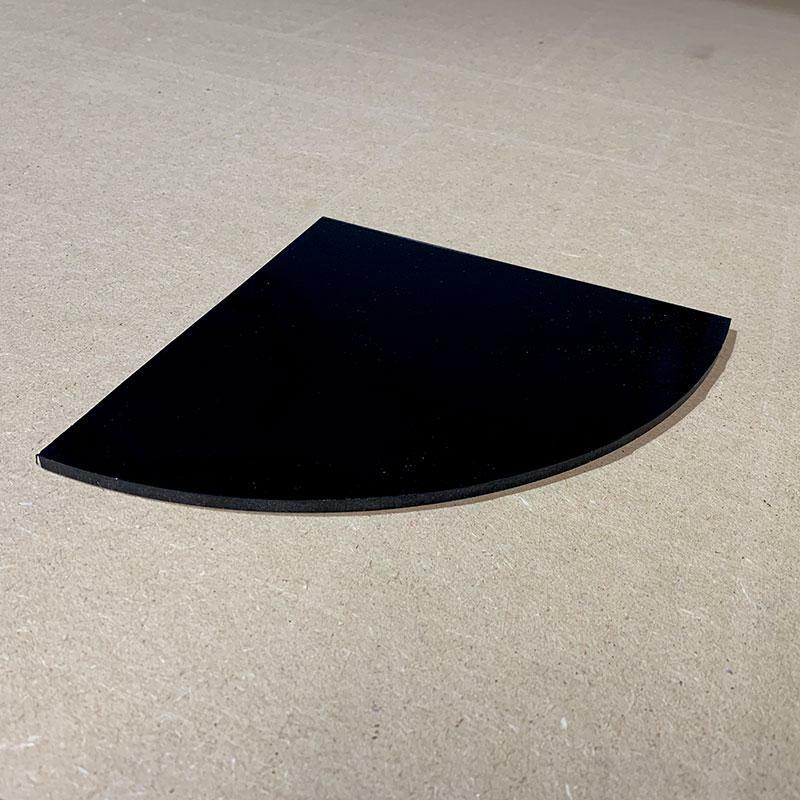 The wetside's intake grate has a solid section that can be oriented toward the sand if it is used near the substrate or toward the surface if used up high. This should decrease the likelyhood of sucking sand or air into the impellar section. The slots in the grated area are wide enough so that food doesn't get trapped against them nor can nuisance algae clog them up. Due to their design, there are no powercords in the water, they don't add heat to the tank since the motor is external, and they have a very small footprint visually as they are about the size of a hockey puck (3" wide x 2.25" thick). The motor is the same size, hanging on the outside of the tank with the cord pointing upward. It comes with fasteners to secure the cord to the top rim of the tank, which is very important. If for some reason the two parts separate, you don't want it to do damage as it falls (and prevent damage to the pump as well!). 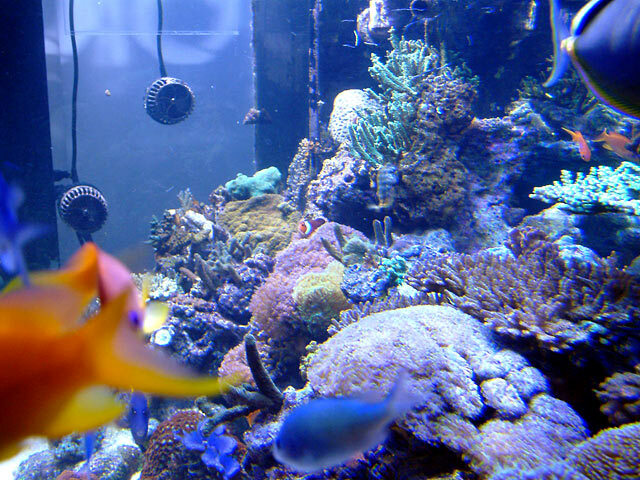 When viewing the tank, it really isn't much of a distraction (eye sore); guests often ask about them. The flow is wide compared to most powerheads, and because it draws water into its sides there is a significant undertow that is easy to note during feedings or by observing how the sandbed shifts after a day or two. 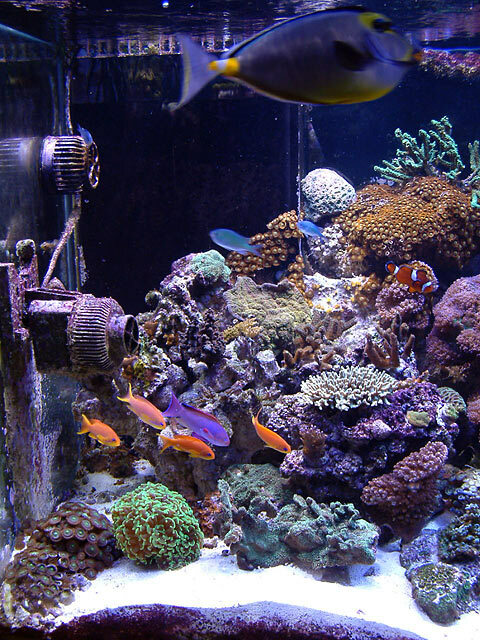 Using the speed control on the driver, you can set the amount of flow that works best for your corals. Due to this ability, this pump can be used on a smaller tank and later moved to larger one when you upgrade systems. The only limitation appears to be that the tank walls cannot be more than 3/4" thick. 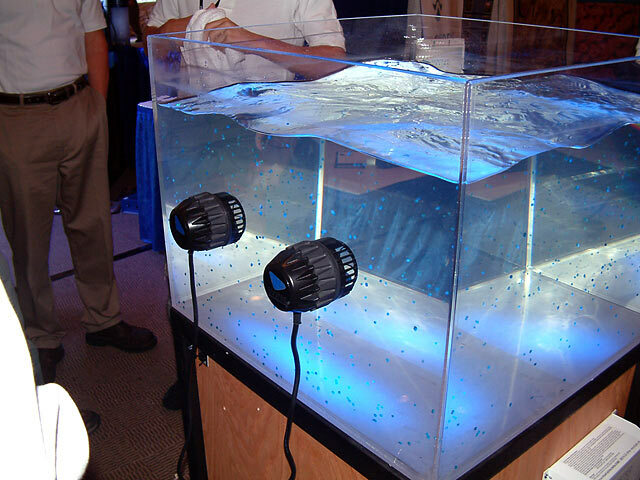 At one MACNA, I've seen it used on a 29g with seahorses (a protective foam sleeve was on the wet side), and the flow was gentle yet discernable. 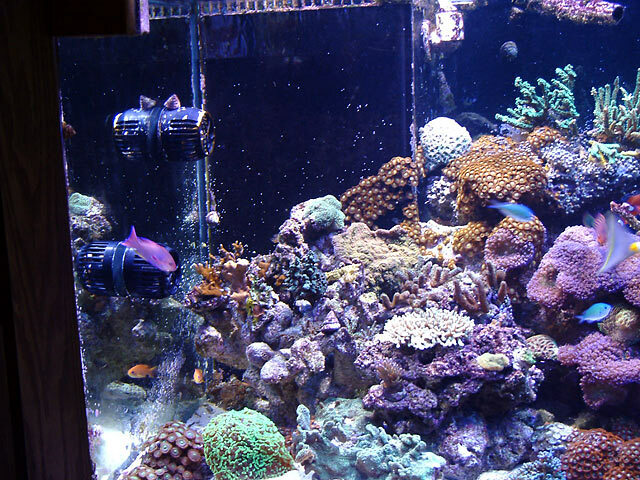 For my reef, I have all three of mine running at about two-thirds their rated speed, or roughly 2000gph each. In addition, one of my pumps is hooked up to the IceCap Battery Backup. If there is a power outage, the battery will keep the pump running for 24 hours at 50% flow. I could hook up a second pump to the battery, but for half the time. The battery backup is different from a UPS because this battery hooks up directly to the pump's driver and provides the low voltage necessary to keep the pump on. A UPS uses its batteries to convert power back to AC, which would then send power to the VorTech's power supply which would convert it back to low (DC) voltage. Due to all the converting, a UPS is not an economical nor wise solution because it doesn't have nearly the run time that the Icecap BB does. For me, the importance of maintaining flow in my tank during a power outage made the choice of buying these pumps a simple one. Circulation is maintained until I can get back home to turn on the generator, and my reef remains safe. Cleaning the wetside is easy. Take it out of the tank, and soak it in a container of vinegar and water. Place the wetside on the countertop rubber side down, and twist slightly to unlock the strainer basket. Clean everything with a toothbrush under running water, reassemble and reinstall. The motor never has to leave the tank and there is no risk of getting it wet. Align the two halves and turn it back on. The pumps run quietly for me. Running them at their maximum flow, there is an audible sound to the motors, but for in-wall applications it won't be distracting. Those running the pumps in Pulse mode have noted that it makes more noise, but that is a trade-off for making waves in your tank. The magnet has a plastic coating since it is built into the wet side, and may need to be replaced annually ($15). 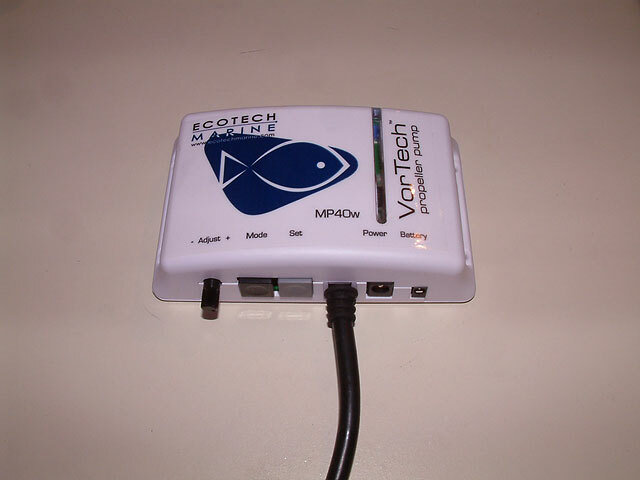 The pumps come with a one year warranty and EcoTech Marine has been quick to resolve any issues I've had. These pumps (MP40-W) are an investment as they cost ~$420 each, but for what they do for my tank and my peace of mind, they are worth every penny. I'm very glad EcoTech Marine created these pumps! Posted 12 hours 39 min ago.